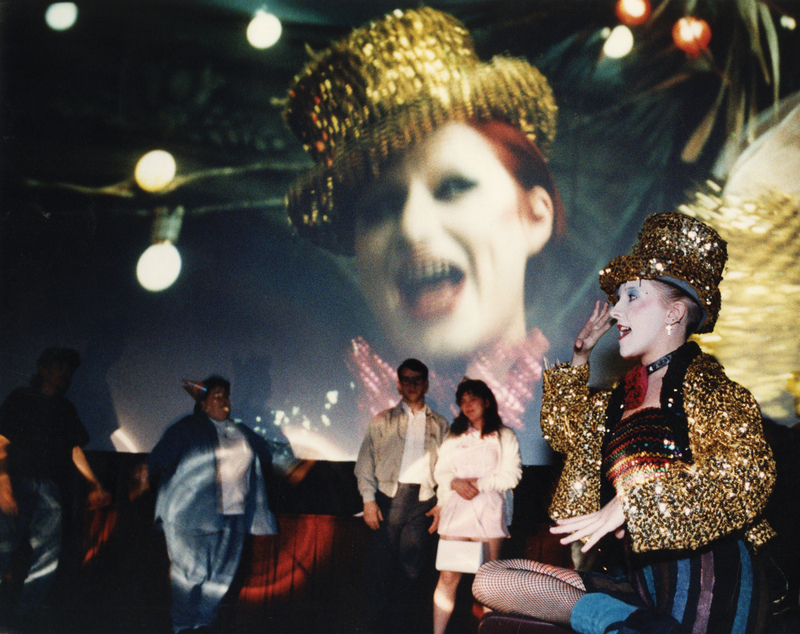 Kim McFarland wore a silver dress she bought at a church sale to her first midnight screening of “The Rocky Horror Picture Show” at the Northlake Festival in the late 1980s. McFarland didn’t know the words to “Sweet Transvestite,” so she kept quiet as the audience around her squirted water pistols, threw toast, and hollered at the strangers on stage who would later become castmates—divorce lawyers, fellow college students, and “young adults with typical young adult jobs,” dressed (barely) in leather, lingerie, and gold lamé trunks with the movie projected behind them. McFarland ultimately appeared as Dr. Frank-N-Furter and other characters in more than 500 shows, including the performance above. Gay, straight, old, young, white, black, whatever—actors and audience members could be themselves or someone else entirely. The show still goes on every Friday at midnight at the Plaza Theatre, where Lips Down on Dixie, a nonprofit troupe, holds the city’s longest-running performance.